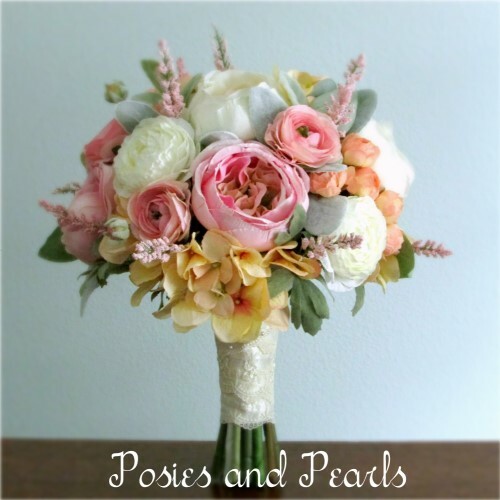 The suite of blooms begins with two types of gorgeous David Austin roses. 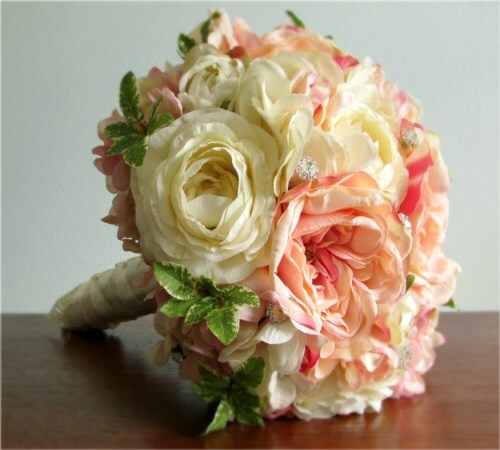 The first is a two-toned rose with creamy ivory outer petals leading to pale peach ruffled centers. 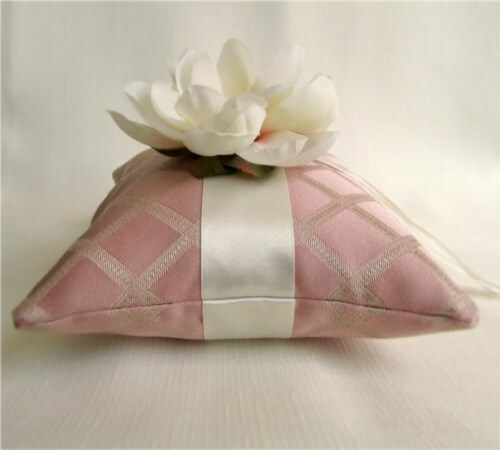 The second is a rich shade of classic pink. 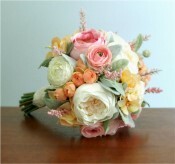 Also incorporated are dainty peach spray roses, fluffy ivory ranunculus, and lovely apricot colored hydrangea. 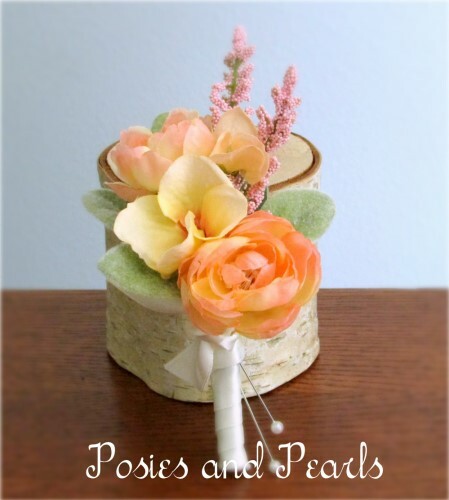 Delicate sprigs of heather and soft green lamb's ear leaves are mixed throughout the bouquet adding texture and dimension. The stems are wrapped with ivory lace that is layered over satin and accented with a few pearls for an extra special touch. 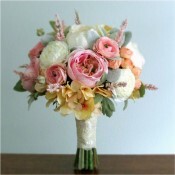 The base of the stems are left uncovered to give these silk blooms fresh-cut appeal. 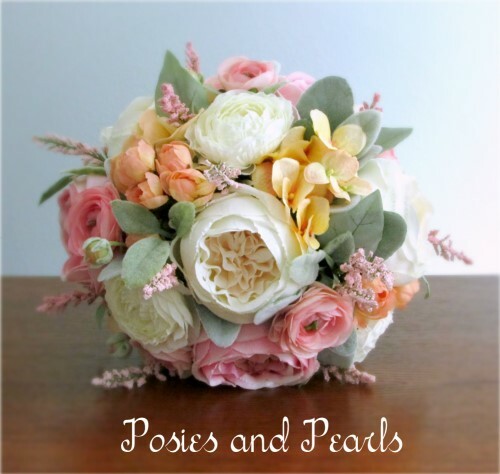 A brilliant display of blossoms that will be beautiful to behold on your wedding day and can remain a treasured keepsake for years to come! 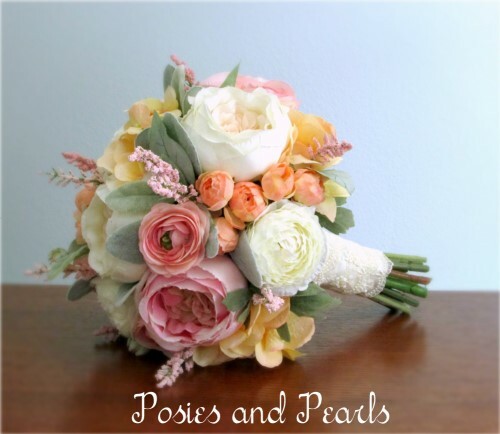 The coordinating boutonniere features spray roses accented with hydrangea blooms, heather, and lamb's ear leaf for greenery. 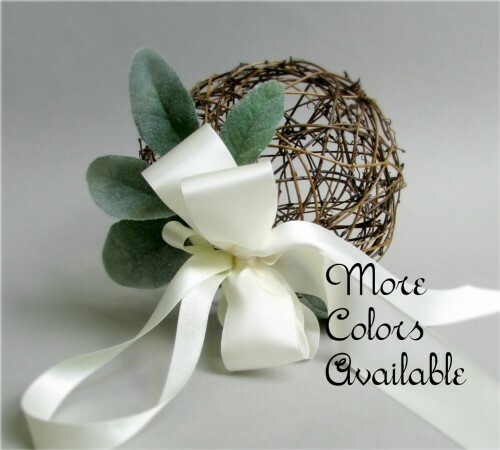 The stems are wrapped with classic ivory satin. CUSTOM ORDERS: This style of bouquet can be made in other colors and with many different types of flowers. I can also create coordinating pieces for each of your attendants including bridal and bridesmaid bouquets, corsages, boutonnieres, centerpieces, jewelry, ring pillows, and flower girl baskets. Contact me and I will be glad to assist you.